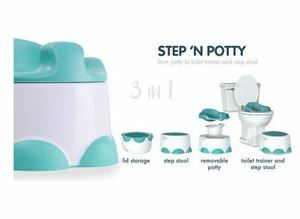 BUMBO STEP AND POTTY,A perfect full stop to all the potty and toilet training woes! This Bumbo Step and Potty puts an end to all the potty and toilet training woes faced by parents. 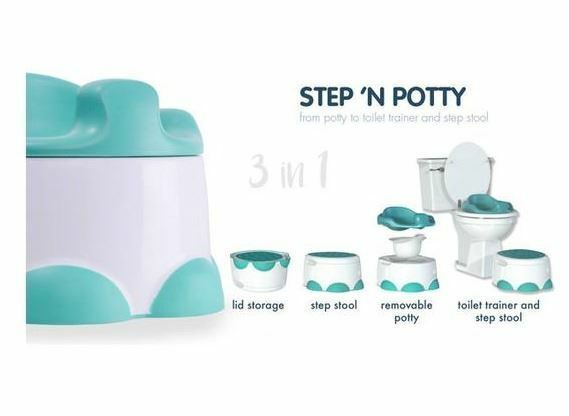 This product converts from a potty trainer to a toilet trainer and further to a step stool which makes it easier to toilet train your toddler.